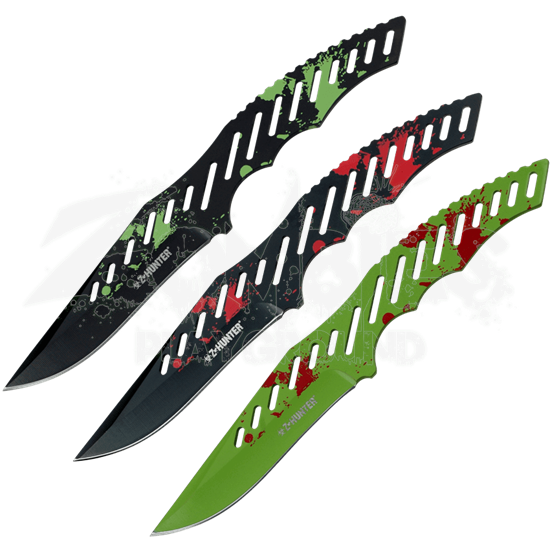 These throwing knives enable you to use stealth to take down zombies without placing yourself in mortal danger. 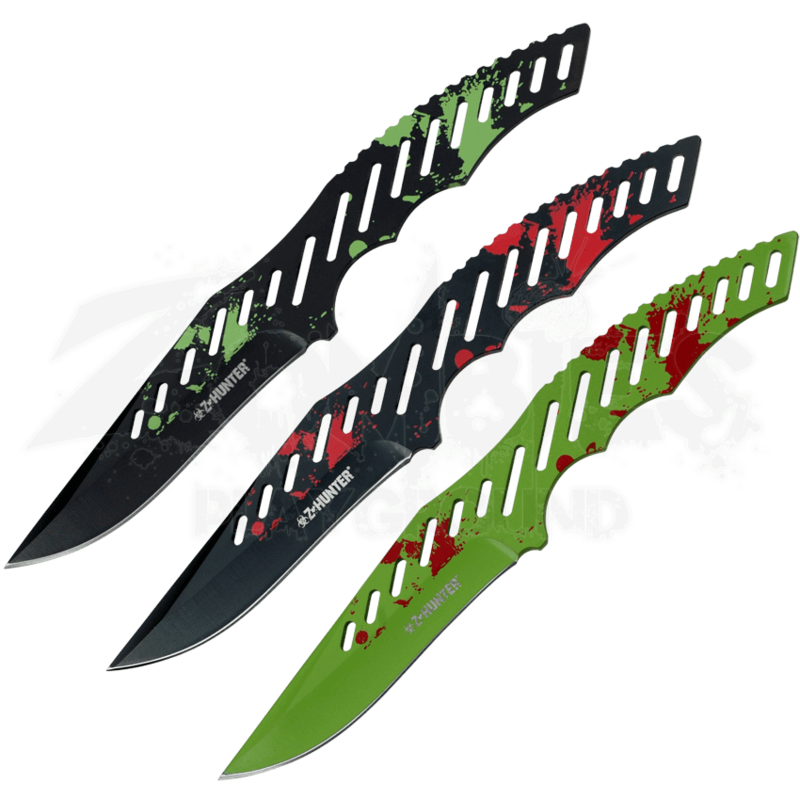 The Zombie Hunter Three Piece Throwing Knife Set includes stainless steel blades painted with green, red, and black. Each of the three blades are patterned with blood spatter. These straight back knives have cutouts all along the handles and blades. A nylon sheath provides portability to these weapons, so you can carry them on your clandestine missions.